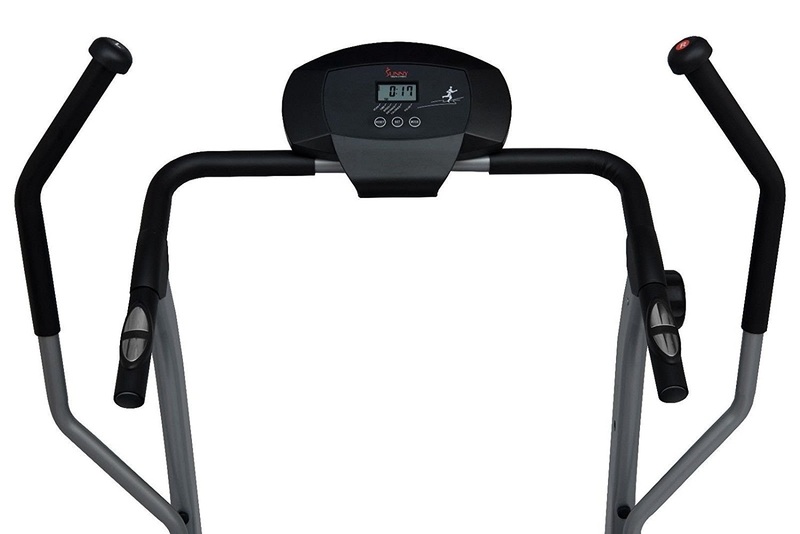 The Sunny Health & Fitness SF-T7615 Cross Training Manual Magnetic Treadmill is a good entry-level walking treadmill with adjustable magnetic tension system. 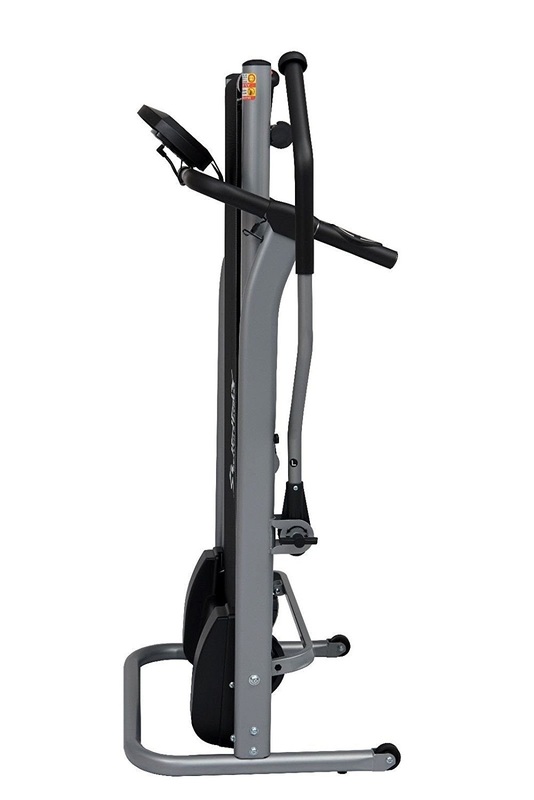 As an added bonus, the Sunny Health & Fitness SF-T7615 features swing lever arms that provide light resistance for an upper body workout. 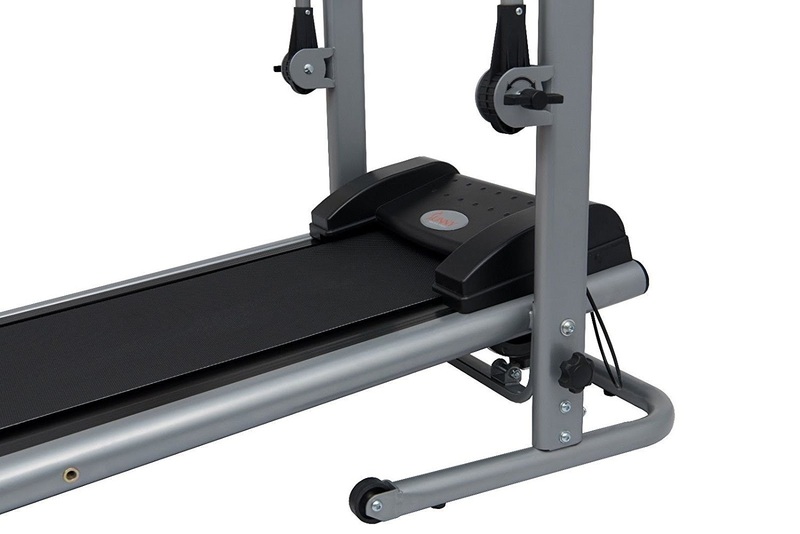 The Sunny Health & Fitness SF-T7615 Treadmill is a manual treadmill which means that it will go as fast as you walk, putting you in total control. There are no complicated programs to work out, you simply get on and start walking! The Sunny Health & Fitness SF-T7615 Treadmill comes with an easy-to-read LCD digital monitor that displays motivating workout stats as you exercise including time, distance, speed, calories, pulse and scan. Your pulse heart-rate is measured via built-in pulse sensors in the side handles to help you stay within your target heart-rate zone. The Sunny SF-T7615 Treadmill’s deck belt measures 13.4” wide and 41.7” long so you have plenty of surface space to walk and the whole deck folds up to save space when not in use. It also has integrated transport wheels for easy relocation and storage. 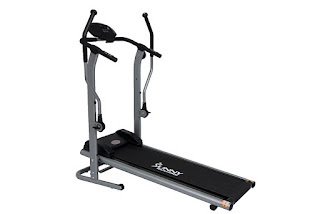 An advantage of manual treadmills is that you can place them anywhere in your home without having to worry about placing the machine near an electrical power outlet. The Sunny SF-T7615 Cross Training Treadmill is sturdily built, allowing for a user weight capacity of up to 220 lbs. *Prices/discounts/shipping indicated are correct at time of writing/publishing and may be subject to change at anytime. E&OE.